Silver and Gold according to one of the largest metal mining operations in the world, Rio Tinto and Massachusetts Institute of Technology ( MIT) study the metals that will be most affected by technology. 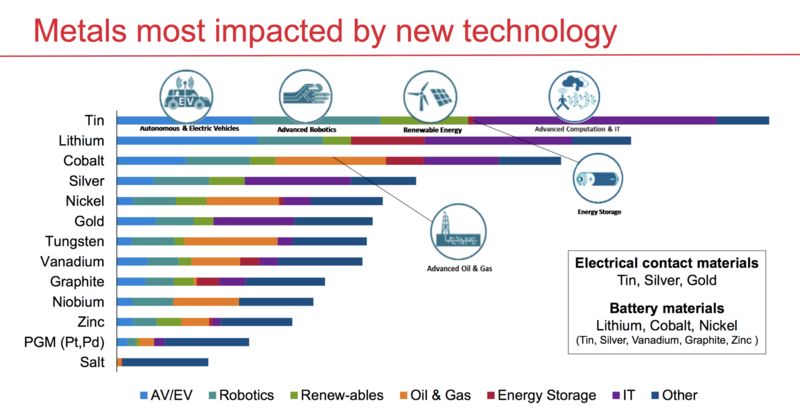 The technologies that are expected to impact these metals include autonomous and electric vehicles, advanced robotics, renewable energy, and advanced computing and IT. The chart “summarises MIT’s analysis and it provides a guide” to some of the areas where Rio’s Ventures team would be looking at opportunities and was willing to invest.